With help from a generous, anonymous donor who’s matching other donations three to one through the end of the year, we now have enough funding to buy a new Petabox! We now have only seventeen days left to get the three more we’ll need in 2013. 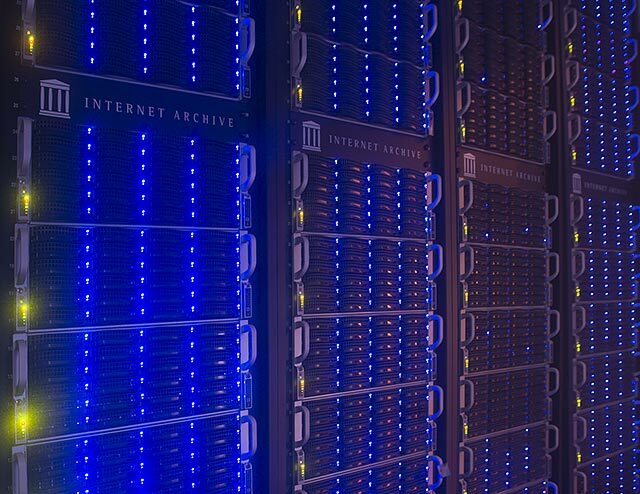 These massive servers are the backbone of the Archive, and critical to our continued growth. To all of you who’ve contributed to our fundraising drive, thanks from all of us here at the Internet Archive. If you can help us reach our goal by making a tax-deductible donation, we’d be grateful. In October, the Internet Archive hosted the Books in Browsers conference, which covered achievements in moving books to the web, vending and lending, the design and effective deployment of ebooks and reading experiences for web environments, the portability of books and bookshelves, reader application interoperability, storage and transmission security (including encryption and caching), the legal and user consequences of book licensing versus purchase, and ramifications for user privacy and data protection. Peter Brantley, director of Bookserver at the Internet Archive, provided an insightful summary of the two-day event: the new publishing doesn’t care about formats, it cares about story-telling. It is neutral about content-types, because all content-types can be manipulated on the web. That may seem prosaic, but it is actually revolutionary. We’re used to seeing tools that add video to textual narratives, or synchronize audio-based playback. But when you invent tools for the web, you can manipulate a vast array of content within the browser, and an author’s ability to integrate the reader into the experience of the story has few constraints. Indeed, one can expect those constraints to continue to yield under the pressure of increasingly flexible representations. Once technology liberates vision, it is only a matter of imagination becoming real. I have been watching the Pathé films with tears in my eyes, and here is why. You don’t show the film credits, but if you look at them you’ll see the film editor in chief is Leonard C. Hein, my dad. I believe he was president of his local union #707 in New York City. He worked for Pathé news for over 25 years, right up until the bankruptcy auction which he attended. Thank you for preserving this work! A while back, I scanned a book with a ton of shorthand notes, thought to be written by Roger Williams, the founder of Rhode Island. It has since been confirmed that the handwriting is his, a discovery made possible through the availability of our high-quality online version. The book itself is pretty fragile, and would not stand up to constant reading, as well as the digital images are easy to zoom in on for further study. Most of the code is quite small. Still, the Internet Archive’s scan of the book provided researchers the raw data needed to examine and ultimately decipher Williams’ code. I find it so very cool to have been the one to put this book online and help in some small part to a better understanding of my state, and indeed nation’s history. A hurrah for the studious use of a book’s digital version. This unimaginatively titled, low-quality film documents Joseph Kittinger’s parachute jump from space in 1959. The record held for decades until Felix Baumgartner recently broke it. Wow. very good, thanks, into our future we go. I love your website,I hope people are thinking what I’m thinking, thank God for Archive.org. Thank you.